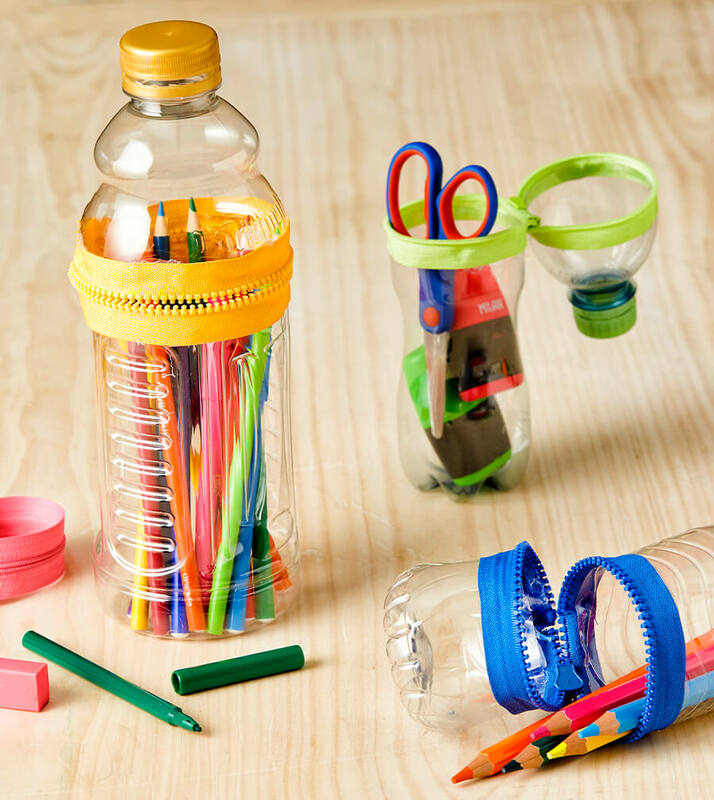 Encourage your kids to get creative and reduce waste by making their own pencil cases for school. Cut your bottle in two. Glue one side of the zipper down on outer edge of one half of bottle, with the correct side of the zipper facing out. Be sure the zipper track is about half a centimetre away from the edge of the bottle, so that the zipper pull can function freely. Continue gluing the zipper around the outer lip of the bottle edge, making sure you aren’t getting any glue onto the tracks of the zipper. Once you reach the end, overlap the ends of the zipper fabric onto the other end of the zipper, and glue in place. Glue the other side of the zipper to the other half of the bottle. Start with the free zipper end and be sure that your bottle is positioned correctly. Continue gluing until the other half of the zipper is completely attached. Allow the glue to dry completely before using your pencil case.